Are you ingenious? You are when playing this extraordinary game. 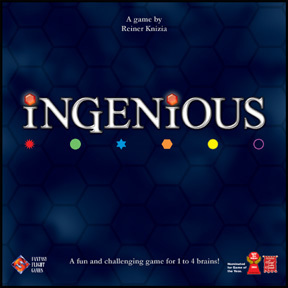 Combining fun game-play, great components, and real strategy, INGENIOUS will have you addicted. Simple rules, quick playing time, and a clever system makes INGENIOUS, quite simply... Ingenious. 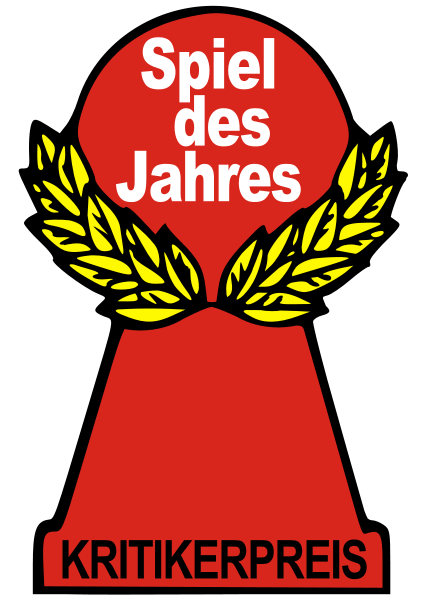 Created by acclaimed game designer, Reiner Knizia. INGENIOUS is a treat for the whole family. The game features balanced options for playing with 2, 3, or 4. players, or even solo play. As the game takes only about 45 minutes, you will want to play many times in one evening.